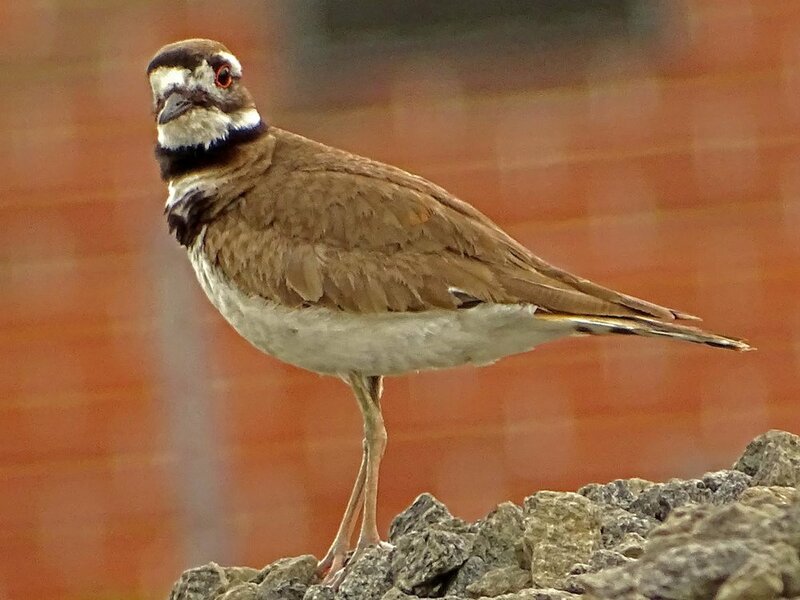 Killdeer (Charadrius vociferus) aren't wearing striped prison uniforms because they murdered Bambi. They got their name from their excited call of kill-deer! But they do have those horizontal stripes, which make them very recognizable. These shorebirds are often seen away from the beach, in fields, lawns, golf courses and open areas. The first killdeer I saw and photographed, on Feb. 24, 2017, was playing second base on a ballfield in the North Lawn of Central Park. 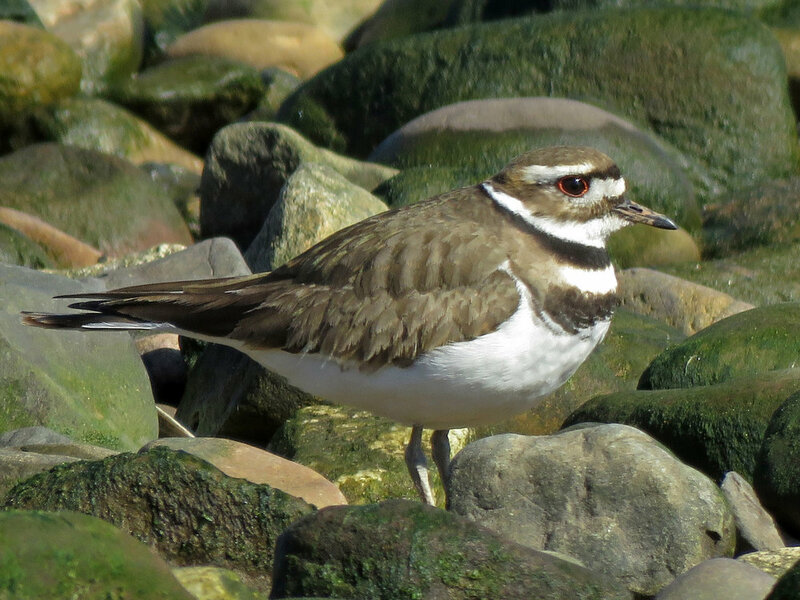 On May 20 and May 27, 2017, I got good looks at the killdeer on Governors Island, where they nest. Killdeer are plovers, with their large, round heads, large eyes and short bills. I highly, highly recommend a video on YouTube by Cathy Weiner (quoteny) showing killdeer mating. It is absolutely beautiful and fascinating. In my Filming the Feathers video, you can hear a killdeer calling, but it isn't the kill-deer! call they are known for. It is an insistent "Peep! Peep!" I put a couple of these calls at the beginning, before the Bach Brandenburg Concerto kicks in, in a version arranged for recorders and performed by Papalin. The first photo in the grouping below was taken in Central Park on Feb. 24, 2017. The second two were taken on May 20 on Governors Island. The remaining photos were taken on May 27, also on Governors Island.